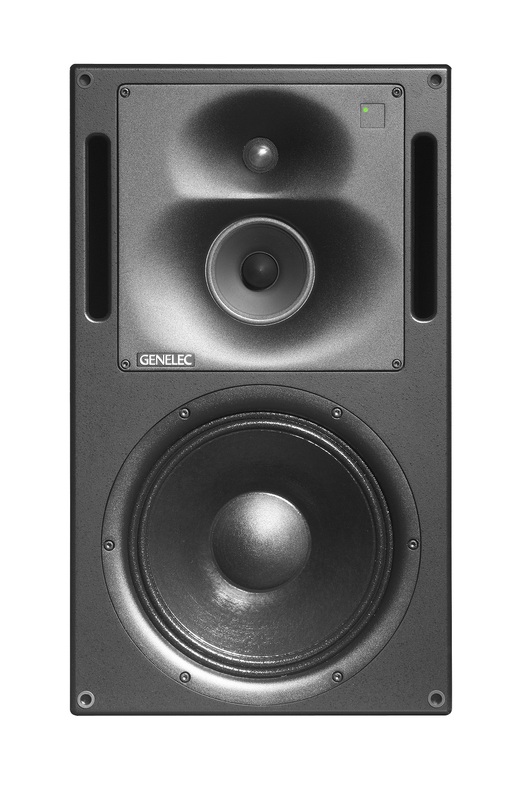 NATICK, MA, July 21, 2014 — Genelec, the world’s pioneer in active monitoring, is now shipping its 1237A and 1238A Three-way Smart Active Monitors™ (SAM™). The 1237A and 1238A are three-way SAM monitors featuring on-board intelligence that allows them to automatically adapt to their environment by tuning the frequency response to compensate for acoustical room influences, as well as achieve perfect alignment of levels and distance compensation at the listening position. Both models can be either freestanding or flush-mounted. The flush versions benefit from a powerful new RAM L rack-mount amplifier that can also be removed from the loudspeaker cabinet when the monitor is flush mounted. These models are based on the highly successful and much respected 1037A and 1038A. They share the same DCW™ (Directivity Control Waveguide™) technology and cabinet design, with the addition of Genelec DSP to allow compatibility with all standard AES/EBU digital audio formats as well as traditional analog signals. The 1237A and 1238A also feature Genelec’s ISS™ (Intelligent Signal-Sensing technology), which was developed to meet EU ErP Directives and the company’s own wider sustainability commitments. ISS minimizes energy waste and significantly reduces power consumption when items are left in standby mode by monitoring input connectors to detect if the monitor or loudspeaker is in use. If the audio input is large enough, the product will quickly come out of the stand-by mode and continue to function. However, if the ISS circuit is not finding any audio on the input for a (user definable) period of time, ISS automatically puts the loudspeaker amplifier to a low-power sleep state where the loudspeaker will consume less than 0.5 watts of power. The 1237A features a 12" (300mm) bass driver, 5" (130mm) Genelec midrange driver and a 1” (25mm) metal dome tweeter, where the mid- and the high-frequency drivers are mounted in Genelec’s proprietary Directivity Control Waveguide (DCW), which allows the system to reproduce flat frequency response both on and off its acoustical axis, thereby allowing for a wider sweet spot. Each one of the system’s drive units has its own amplifier module – 500W for the bass driver, 250W for the mid range and 200W for the high range. Frequency response runs from 37Hz up to 20 kHz +/- 2.5dB. In real life studio conditions a pair of 1237As can produce peak levels of 122dB SPL at 2 m distance. The 1238A features a 15" (380mm) bass driver, 5" (130mm) Genelec midrange driver and a 1" (25mm) metal dome tweeter, where the mid- and the high-frequency drivers are mounted in Genelec’s proprietary Directivity Control Waveguide (DCW). The woofer amplifier is 500W, midrange amplifier is 250W and tweeter amplifier is 200W. Frequency response runs from 35Hz up to 21kHz +/- 2.5dB. In real life studio conditions a pair of 1238As can produce peak levels of 124dB at 2 m distance.